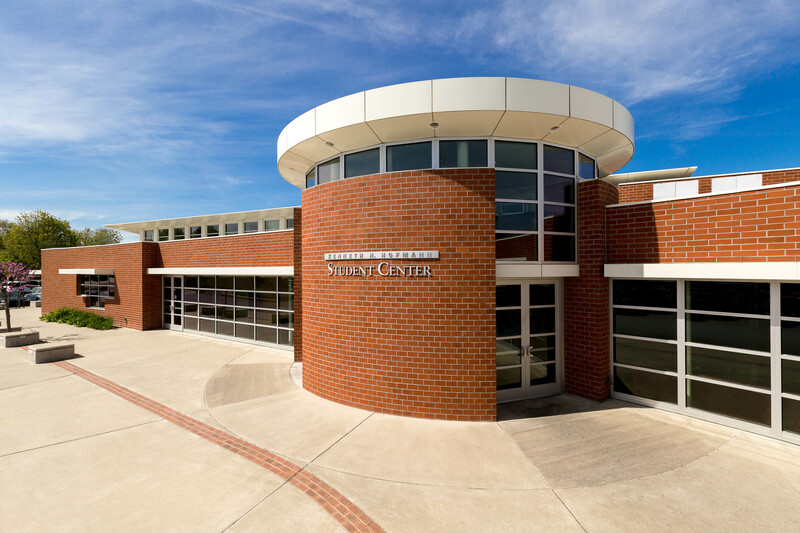 This student center and faculty lounge is a one-story, 20,000 sq. 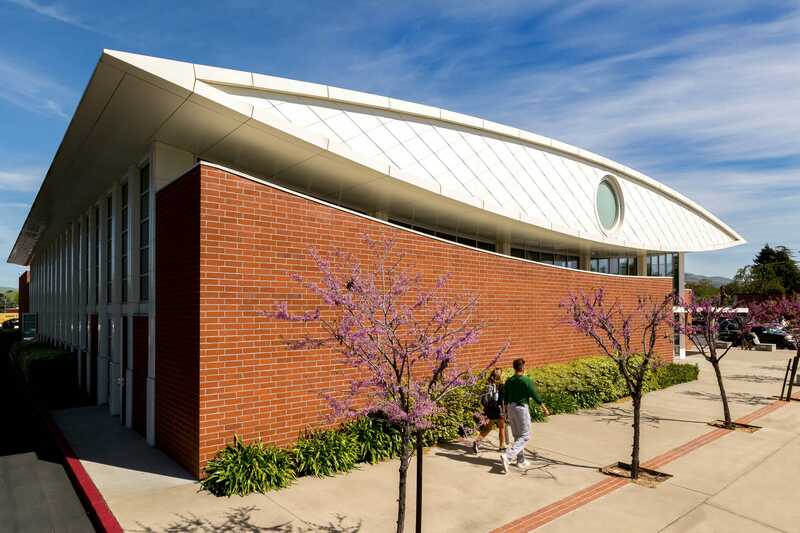 ft. steel frame structure, which utilizes significant expressed structural elements to enhance the curvilinear architectural forms required to achieve the overall architectural vision. 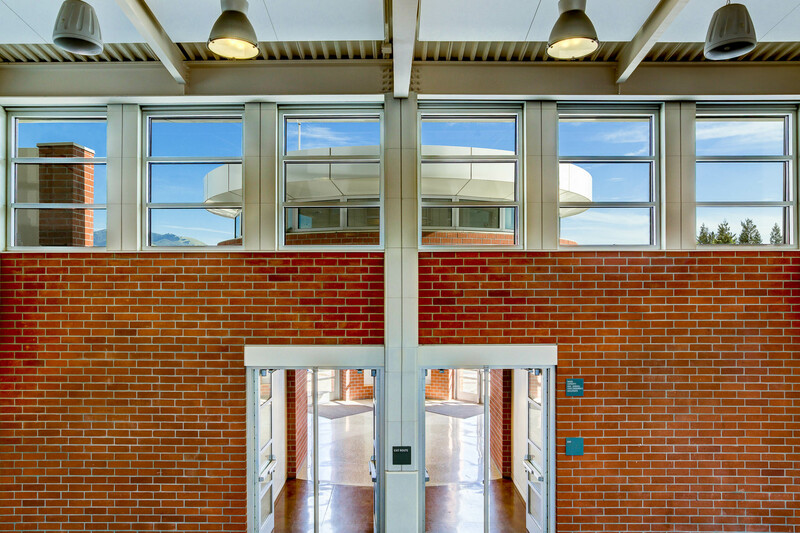 Perhaps the most notable elements of this architectural expression occur at the main hall with the 95 foot span lenticular steel roof trusses providing a sense of motion from interior to exterior space and the tall chevron braced frames juxtaposed against the brick building envelope. 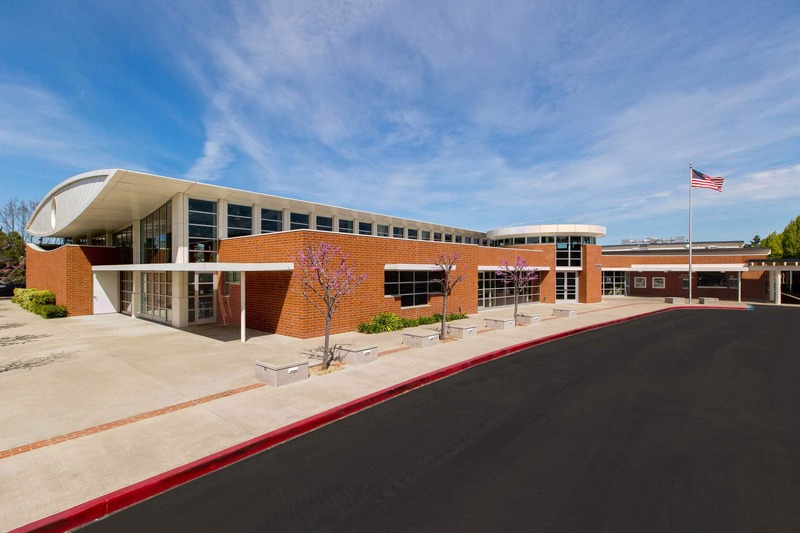 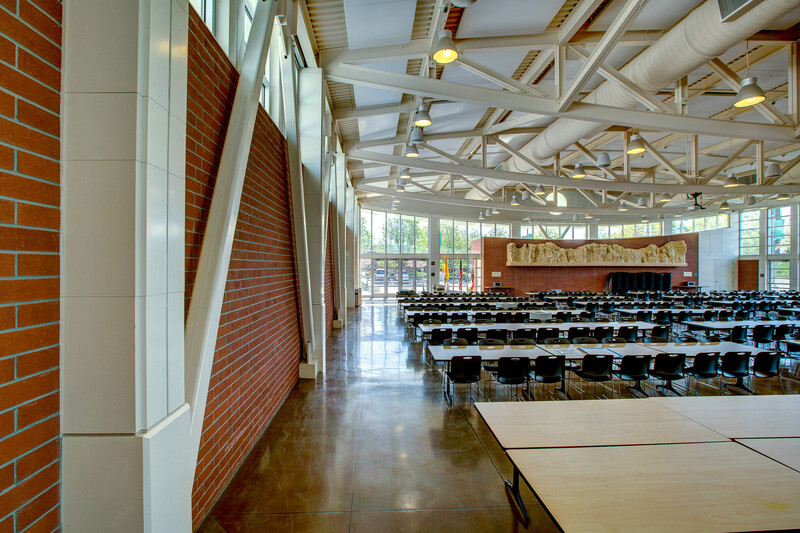 Integration of structure and architecture led to meticulous coordination of braces, columns, trusses and other steel elements with brick and various other building systems and finishes. 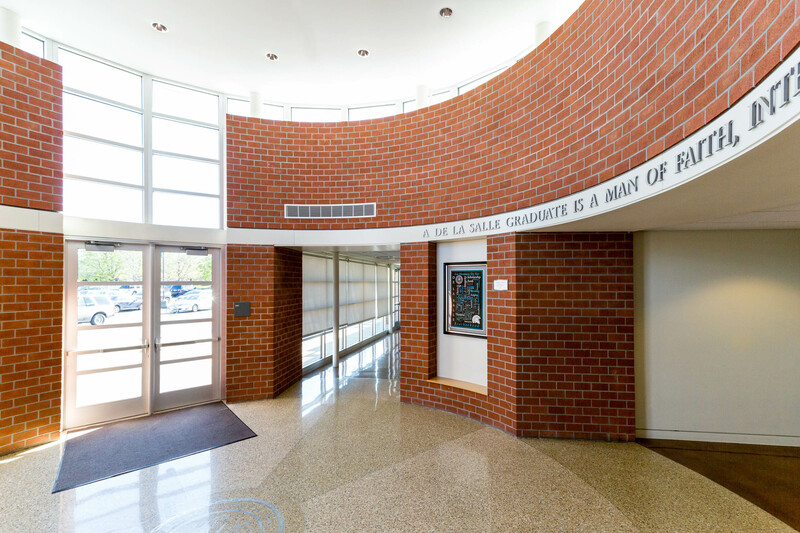 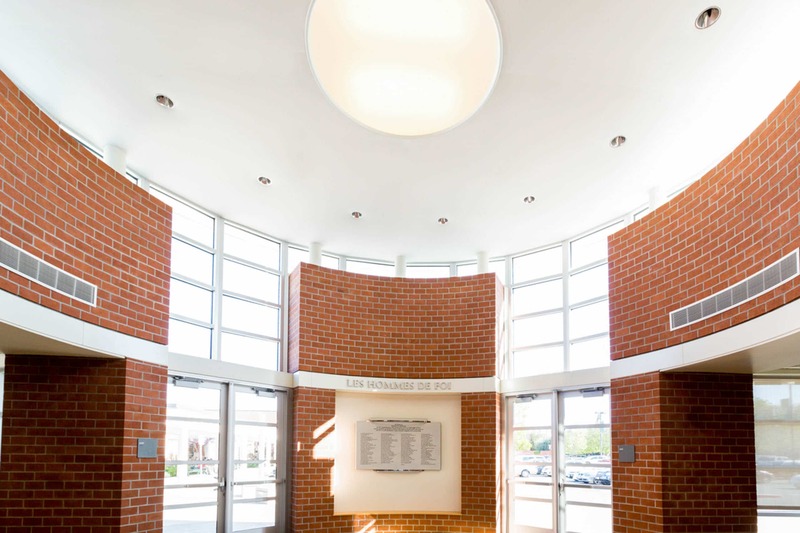 Full size red brick is used for the interior and exterior finish throughout the student center, providing a visual tie to the distinctive character of the surrounding older campus buildings. 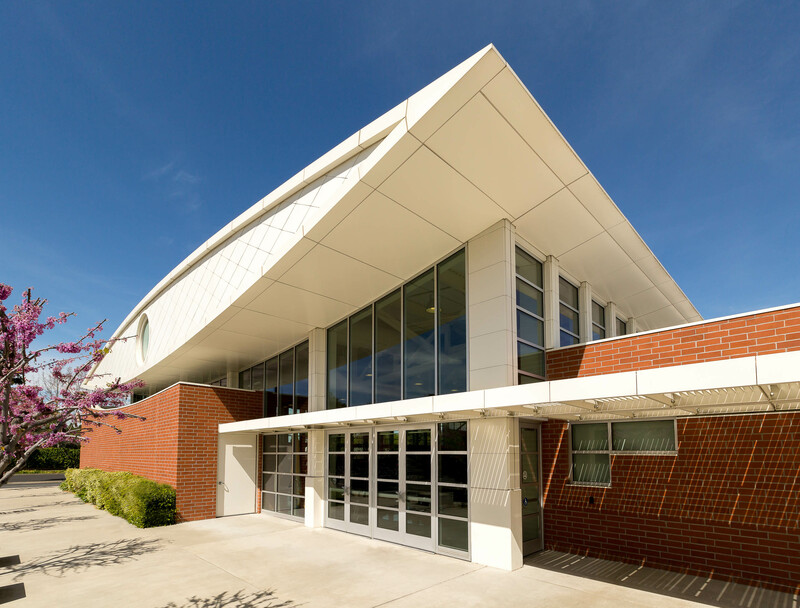 95 foot span lenticular steel trusses in the multipurpose room are carried from the interior space to the building exterior as both truss ends morph into tapered aluminum panel eaves that end with a "knife like" edge. 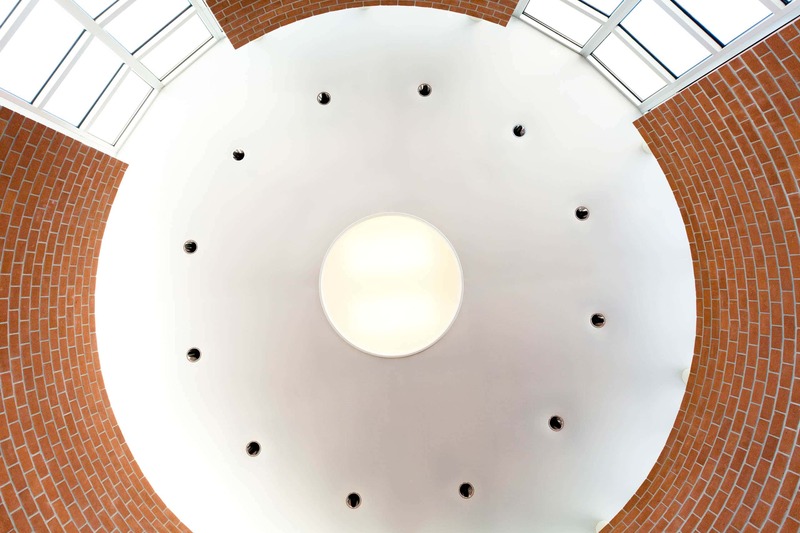 Three-dimensional dynamic analysis was performed to assure proper distribution of lateral forces and avoid excessive torsional affects related to the irregular plan shape and variable heights of the different spaces.